"A lei never forgotten is the beloved child." Congratulations on your sweet miracle! Embarking into motherhood is an amazing life - changing experience that is worth cherishing. 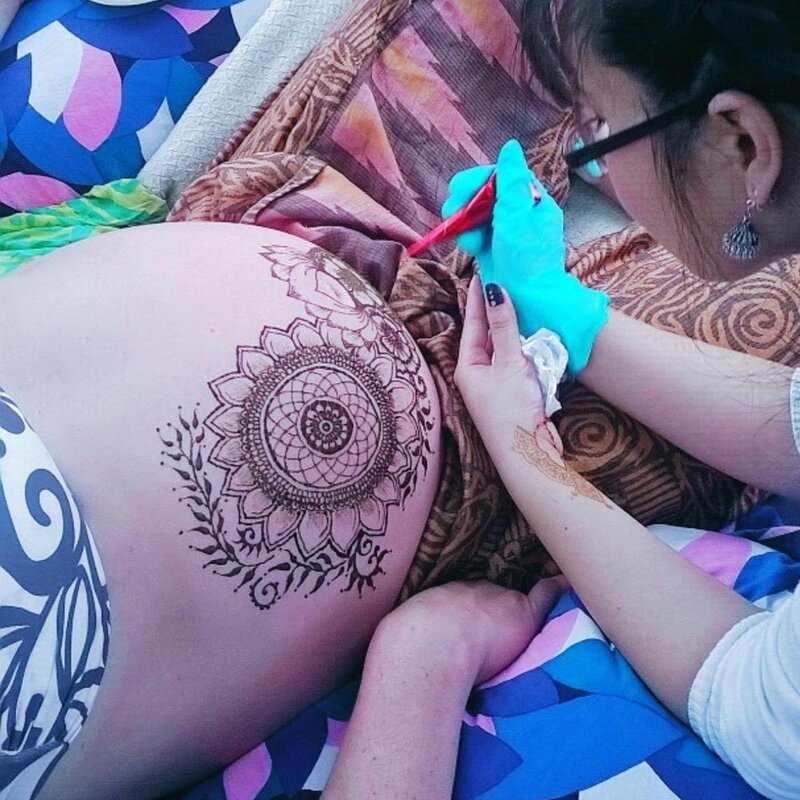 Opting for a maternity henna session is a beautiful and meaningful way to celebrate both the mother and the new life soon to be brought into this world. A great complement to baby showers and mother blessings, Touch of Henna Hawai`i has had the honor of naturally adorning many expectant mothers and their closest friends this way on the island. For the safety and comfort of the expecting mother, Touch of Henna Hawai`i creates and uses a special handmade Pregnancy Blend henna paste created exclusively for the her in mind. Composed of organic natural Rajasthani grown henna powder and pure distilled lavender essential oil with only 0.33% camphor from Henna Lounge, our specialty Pregnancy Blend henna paste is both gentle and safe for children, pregnant women, and sensitive individuals. Although our Pregnancy Blend henna paste is gentle and safe for children, we do not recommend applying henna on children under 6 years old for precautionary purposes. Ensuring our clients' safety and well-being is of our utmost concern. We appreciate your understanding. I will be sure to share your contact info with anyone interested in henna.